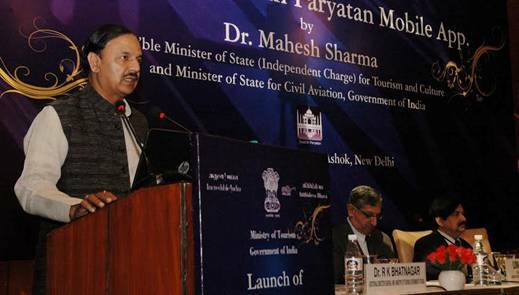 The “Swachh Parayatan Mobile App” was launched by Dr. Mahesh Sharma, the Minister of State (I/C) for Tourism & Culture and Minister of State for Civil Aviation. It includes 25 Adarsh Smarak Monuments Protected by ASI and to be expanded later. 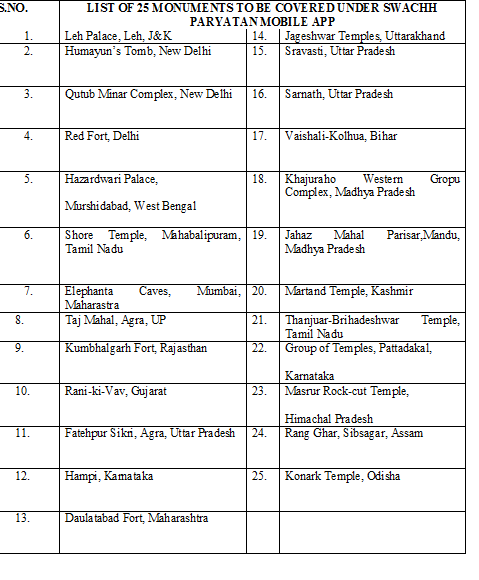 From Odisha, Konark has been included in the App. This project is being implemented by the Ministry of Tourism, Government of India through DeGS and NIC. This Mobile App is available on Google Search Engine as ‘Swachh Paryatan’ and initially it is available on Android Phones and very soon it will be available on Apple and Microsoft also. This mobile app shall be monitored by the Project Monitoring Unit of Swachh Bharat Mission in Ministry of Tourism.